You may think we're crazy here at Steve Jackson Games, since sometimes we make games where you play as cats competing for your owner's favor, or high school students kidnapping historical figures, or punny fantasy characters questing to become overpowered. But there is a reason for, like, at least half the things we do. 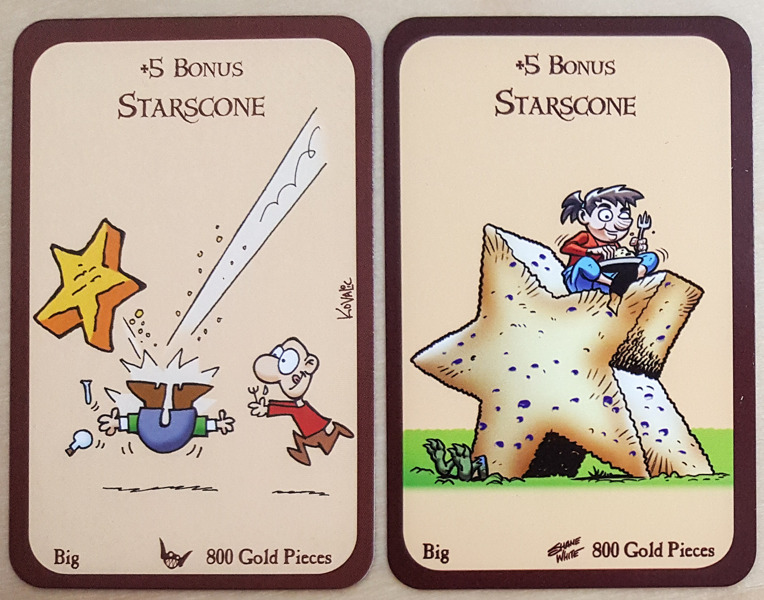 And the reason we're doing Guest Artist Editions is that the cards in our Munchkin games lend themselves to cool, different illustrations based on who's drawing them. 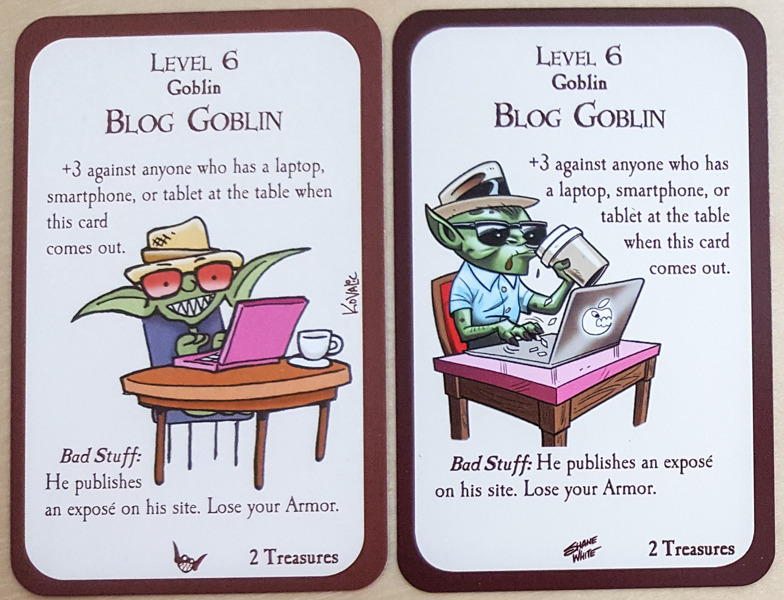 Illustrator Shane White provided the art for us this time around: The game features the same number of jokes and goblins as the original, but White's weapons, heroes, and monsters give us a fresh take on the pun-fantasy fusion of Munchkin Pathfinder. 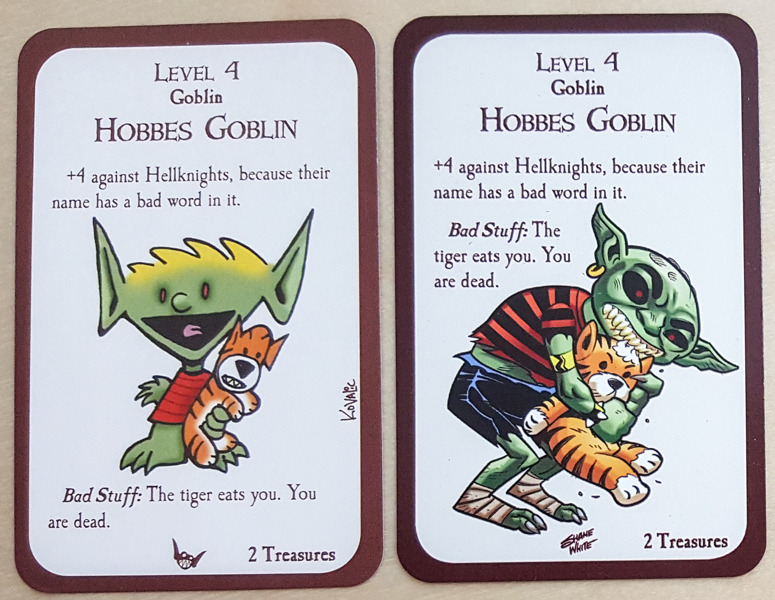 Case in point: Munchkin Pathfinder Guest Artist Edition! Here are a couple comparisons between the John Kovalic art (on the left) and White's new rendition (on the right). 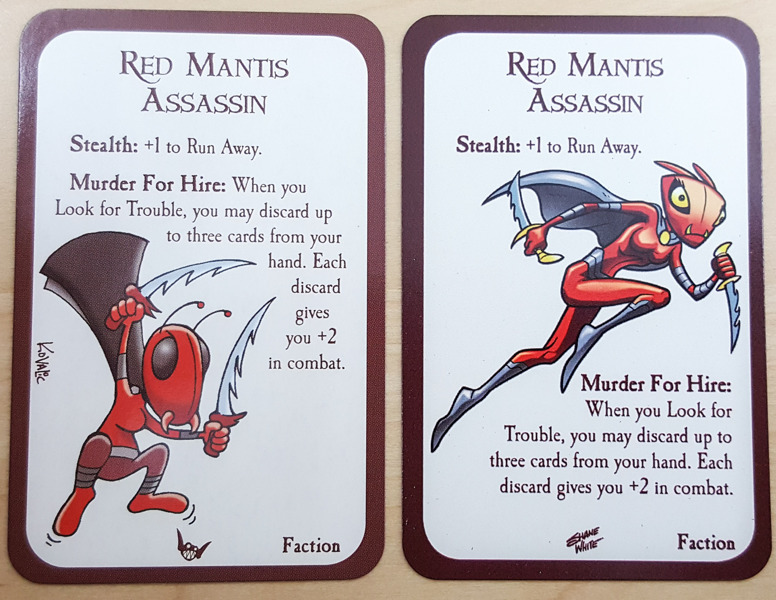 Some of White's visions are similar concepts, with a different style, as you can see with the Red Mantis Assassin. Others are reinterpretations, like the Starscone or the Hobbes Goblin. Still others are of-the-moment visual gags, like the Blog Goblin hipster. White is well-known for his work on comics including Pathfinder: Goblins!, Bad Karma, and Comic Book Tattoo. Munchkin Pathfinder Guest Artist Edition is due out in September, so watch for it here and in stores!